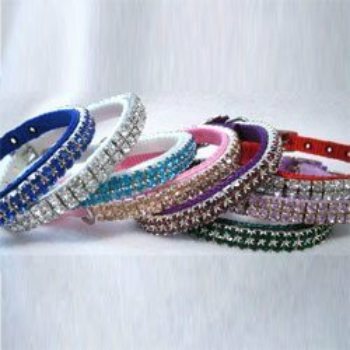 This crystal on velvet designer dog collar is 3/8" wide. The Little Bit of Luxury designer custom dog collar has a plush velvet ribbon attached. You have a CHOICE of velvet color and crystal color. Please indicate your choices when you check out. The price is for ONE collar.